To get the most value out of Europe’s finest ski resorts, you need to choose the right time of the year. You do not want to visit when the place is too crowded, but you do not want to go to a deserted location either. Most mountain resorts open in mid November to late April. Finland, however, remains open until June because of its arctic cold weather. The earlier you go, the more snow you will get. If you go later, the skiing condition might not be as favorable, but you will have more time on your hands because the sun will stay up longer, and you can ski till you are content. When selecting a resort to go late skiing in, select one with altitude of more than 6000ft., it will be colder meaning the snow will last longer. Prices can be at its peak at the end of the year. Peak season for skiing falls among Christmas, New Year, and Easter. So if you avoid these days it will be a lot cheaper. January is the time to find the hottest deals, with the added advantage of being quiet and more peaceful. If you are going on skiing holiday in Europe, then check out some of these popular locales known for being a skier’s paradise. Known for its best on-mountain drinking and dining, to many Zermatt is the ultimate ski resort. Located at the altitude of 7000 feet, Zermatt offers more than 60 on-slope restaurants and cafes spread over its three mountains and 153 miles of terrain, from an old farmhouse turned into a bar to the five-star Findlerhof restaurant. Don’t miss the ride on the Matterhorn Glacier Paradise cable car — the highest in the Alps — on which you can descend 12 miles into the Italian area of Cervinia. Take a day off from skiing and visit the Matterhorn Museum to learn about the history of the mountain and the first ascent. For R&R, visit Hotel Post Zermatt and enjoy the bars and the live music it has to offer. Known for its mountains that offer up to 115 miles of free riding, Alagna is the jewel of northern Italy, and also provides access to two additional ski areas, Champoluc and Grissoney. If it’s nightlife you are looking for, there is only one place, the Caffé delle Guide. You can stay at Indren Hus, which is quite close to the gondola and one of the few places to stay in Alagna. 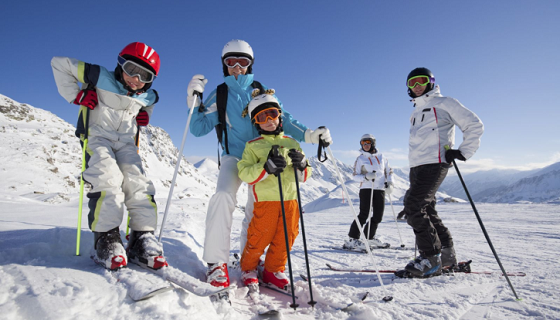 There are not many activities in Alagna but skiing, so arrive in good shape and make full use of your trip. Located in a corner of the Swiss Alps, and accessible only by a train or cable car, Mürren is a car-free village that offers only 33-miles of slopes. Low-key locals tap vast fields of uncharted territory and duck off into the backcountry. Ride the 007 cable car to the top of the mountain, and grab breakfast buffet at the Piz Gloria, the rotating restaurant featured in the 1969 James Bond flick. If you like racing down a slope, go in January and sign up for the Inferno, a 1,800-person derby-style race. Stay at the family-run Hotel Eiger for a warm vibe and stunning views of the Jungfrau. By the way, make sure to drink at the Gondel Bar, a tiny bar in an old cable car. Known as the best place to watch snow sports, every January, over 50,000 ski-racing fans pack Kitzbühel to watch the world’s best skiers compete in the most prestigious downhill race on the World Cup circuit. If you’re a good skier, try skiing icy black diamonds, test your skills on the Streif, as the downhill course is known, a puckering two-mile-long track filled with huge airs, steep slopes, and death defying turns. If you’d like to stay in Kitzbühel for the races, book at least six months in advance. Best known for its ‘lift’ accessed steeps! For skiers, Chamonix is the motherland. The 16 km strip houses one bustling town, five ski areas, and lift access to some of the most dangerous slopes in the world. Chamonix offers a multitude of slopes for all levels, each ski area having its own merit. Long slopes, skiing through the trees, freeride, and beginners slopes. The Aiguille du Midi cable car delivers you to the front door of Mont Blanc. Ski all the way down to the valley floor all the way through the steep 10,000 feet. For something a little less daring, try the Vallée Blanche, a glacial valley. A knowledgeable guide is advised, because there is so much terrain to choose from, it’s not well marked, and it’s easy to get into trouble fast if you do not have a guide.